The Internet has rapidly changed the automotive markets. Decades ago, buying new car parts means having to visit several auto shops around town; you may also have to wait for weeks or even months for your needed part to be delivered. Simply put, purchasing needed parts was never easy if without the use of the Internet. Today, since more and more car part manufacturers and retailers have bolstered their online presence, shopping for car parts online can be done in a breeze. The emergence of online stores selling car parts has become very helpful to consumers and businesses alike. Auto parts businesses have farther reach as they can target consumers from virtually any part of the globe. This trend is likewise beneficial for consumers as anyone who needs to buy a particular car part can do so by using the Internet. In a nutshell, the popularity of online shopping has benefited consumers, manufacturers, and retailers. 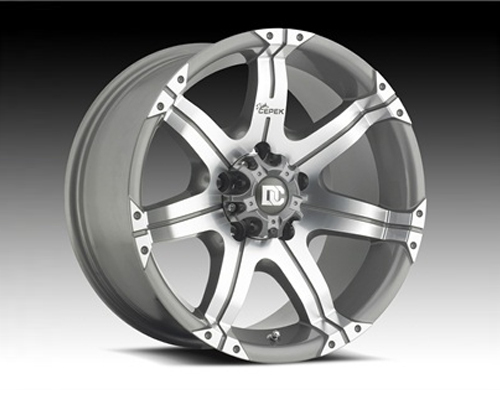 One of the car parts that is commonly purchased online are mag wheels or rims. Although many physical retail shops sell these items, some consumers tend to buy online because of the convenience they get from doing such. Consumers who do not want to physically visit shops tend to buy online as they do not have to spend time roaming around shops. Also, since some online stores offer different promos and discounted products, more consumers are patronizing their services. These factors prove that more and more consumers are realizing the benefits and advantages of buying online. If you are a car owner who is fond of buying online, or a first-time online shopper, you should be aware that not all car part sellers online are honest and reliable. If you do not want to be cheated out of a fair purchase, you should know the red flags for a bogus seller. Below are some of the signs that the seller you are intending to trust is a bogus and dishonest one. The price is too good to be true – If the online shop is selling rims at very low price, you would want to think twice before buying it. If the price is incredibly low, there is a good chance that the item is not genuine or a substandard product. In order to determine whether or not the item is genuine, you would want to compare its price with similar products sold at a different online store. If the difference between two is too far off, the cheaper one may not be genuine. If the price is too low, the items it must be selling are fake or substandard. So, if you find a very cheap Advanti rims or any other popular mag wheels brands online, think twice before buying it. The seller has a bad reputation online – Before trusting your money with an online mags wheels store, make sure to read client reviews for that business. If you notice that almost all of the reviews are on the negative, you would want to stay away from that particular shop because chances are its services are poor, which will put your money into waste. The retailer is unknown to consumers – The rule of thumb when looking for an online store is to do a background check of the business. If the shop you are intending to trust is not known in the online marketing industry, there is a chance that that business is not legitimate or provides poor service. In order to verify a shop’s reliability, you may ask for your peers’ and colleagues’ advice and recommendations. Buying mag wheels like Advanti rims online can be a lot of fun with the convenience you get. However, you should be warned that not all online shops provide good service and sell quality products. Hence, it is always wise to check for the shop’s reputation and track record first before paying for the item you intend to buy.